I enjoy experimenting when baking and coming up with my own recipes, which I try to make as versatile as possible so they can be tweaked for those with allergies or special diets. Personally, I find the easiest recipes to adjust are those that don't contain eggs, which is why my recipes have been egg-free lately. Milk and butter have easy, one-for-one equivalents in non-dairy alternatives, but eggs can be trickier to swap, particularly if you want to use natural, whole ingredients as much as possible. Eggs add a few different qualities to baked goods. 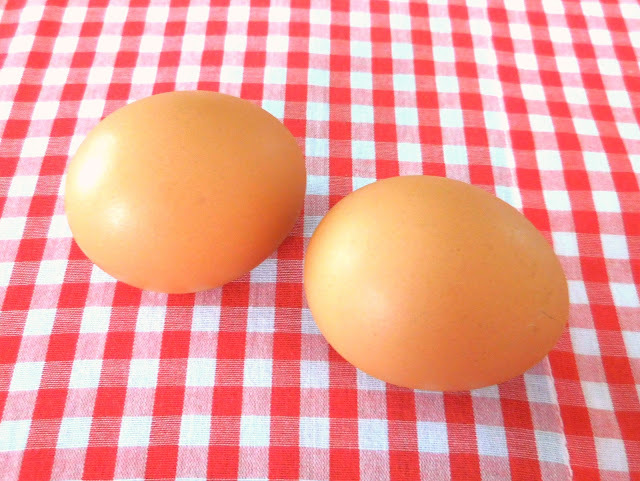 An extra-large egg contains about 1/4 cup of liquid, which will make your batter or dough moister. They also have a leavening effect, which means they make the batter or dough puff up in the oven. Large eggs have about 5 grams of fat, mostly in the yolk, which is equivalent to about 1 1/2 teaspoons of butter. They also have about 6 grams of protein, mostly in the white, which adds a chewy texture to homestyle baked goods like brownies and drop cookies. Finally, eggs have an emulsifying or binding effect that encourages mixed ingredients to stay together rather than to separate. In batters for cakes, muffins, and quick breads, you'll need to replace the moistening and leavening effects of eggs. Simply add 1/4 cup extra of whatever liquid is called for in the recipe per egg replaced--usually this will be milk. You can also use 1/4 cup extra per egg of applesauce, mashed banana, pumpkin, or any other fruit puree called for in the original recipe. To replace the leavening, I find 1/2 teaspoon of baking powder per egg replaced works well in most cases. Since eggs also bind fat into the cookie dough, leaving them out can result in butter or oil melting out of your cookies into a greasy puddle in the oven. Decreasing the total butter or oil used by 1/4 will prevent this--and make your cookies a little lighter to boot!